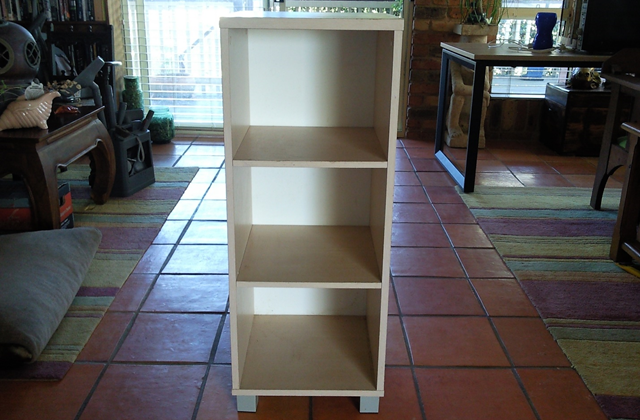 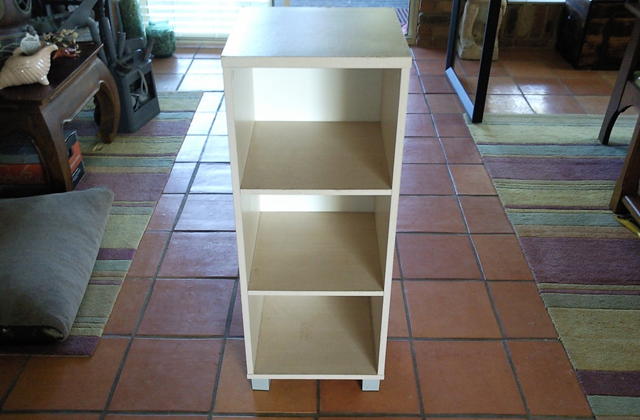 General purpose utility shelf, made of laminated particle board construction. 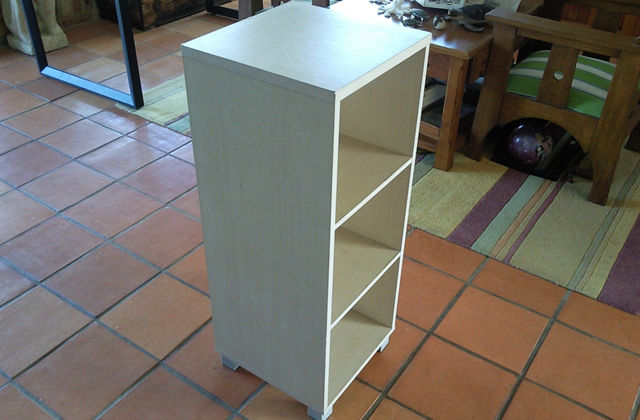 Shelf measures approximately 39cm wide × 39cm deep × 99.5cm high. 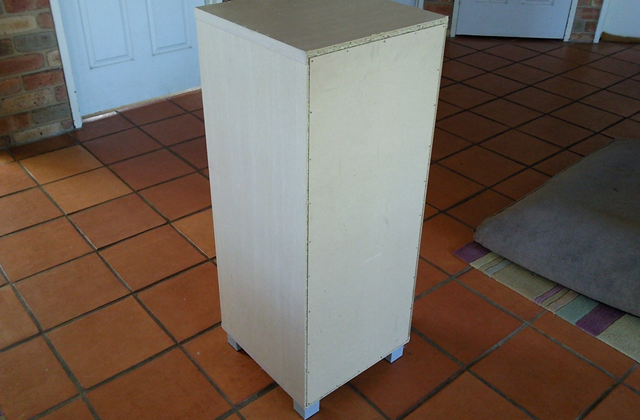 Some scuff marks and the usual wear and tear, but quite solid and in decent condition.